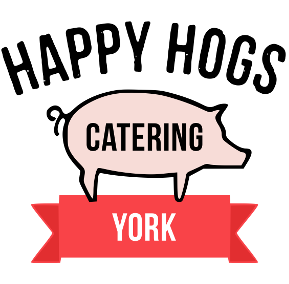 Free Range Event Caterers York Providing Award Winning Hog Roast and BBQ Catering. Our bbq caterers team use the best and only free range pork both producing and making all sausages and burgers by hand so we know all our meat is sourced locally from around York. Barbecue catering is a unique solution to your catering needs, letting our York caterers serve the best free-range mouth-watering and perfectly barbecued food for all types of events, weddings and corporate occasions. You decide on the serving time for your occasion, pick from our menu selection and our barbecue caterers will take care of the rest ensuring we collect all rubbish and take it away with us after the feast! Our aim is to cater our York clients’ events in an efficient and stress free manner so that the organisers and guests can relax and enjoy the party. The home of truly happy BBQs, our barbecues are great for any event at any time and are fit for true bbq worshippers, no more will you be plagued with a bad sausage, as we only provide award winning succulent mouth-watering meats for our BBQs, so sit back and enjoy the tantalising experience that is Caterers York. All our amazing burgers and sausages are homemade and all our salads are freshly prepared by our staff taking care and adding passion to everything we produce. Our York BBQ catering team produce hand-made sausages and barbecue burgers from scratch to serve in our menus. Our catering team also create fresh home-made salads and sauces; putting pride and passion into all the produce we prepare. Every barbecue menu we serve includes well-made throw-away knifes, forks and plates, but we do offer the facility to upgrade to 8″ porcelain plates with stainless steel cutlery or 10″ porcelain plates with stainless bead design cutlery. Equivalent upgrades are also available on dessert bowls with stainless steel spoons. Contact us for availability and pricing. For barbecue prices and quotes please email our bbq caterers for a free quote for your party or event. Our BBQ Caterers work and are available throughout York and Yorkshire. Copyright © 2019 | Happy Hogs Caterers York, Award Winning Free Range Hog Roast and Barbecue Caterers.